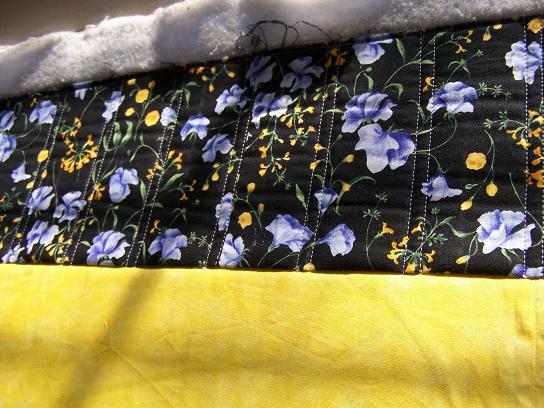 Here are some pics of the quilting in progress of the customer top I’m working on right now. 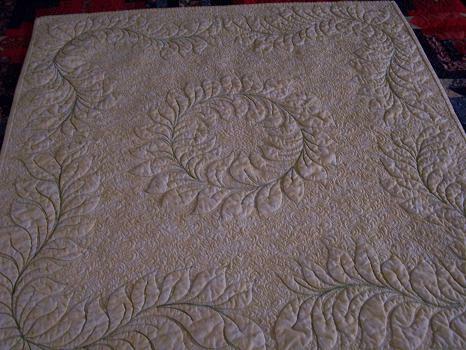 This is the reason I’ve been quilting so many leaves lately…I knew this one was coming, and this customer had seen my Simply Leaves wallhanging, and wanted me to “just play” on her top. 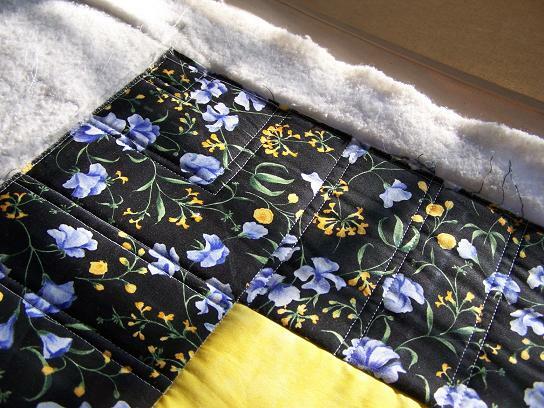 She said to use the blank squares as my “canvas”, and there will be leaves in the yellow border, also. 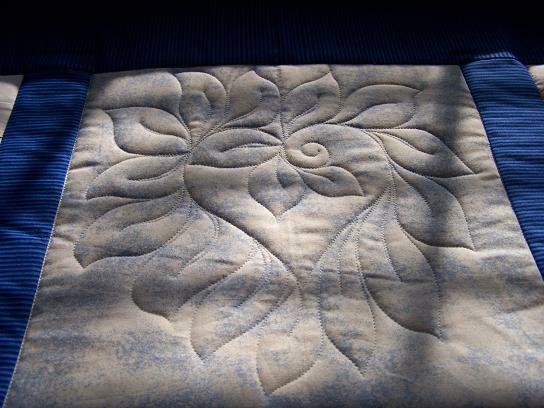 I am using my Quilt EZ templates for the heart spine, and the rose in the pieced blocks is a Quilt EZ template designed by Sonia Hensley. I hope my customer likes what I’m doing. It’s also my first attempt at a “beadboard”border, and I really like it. 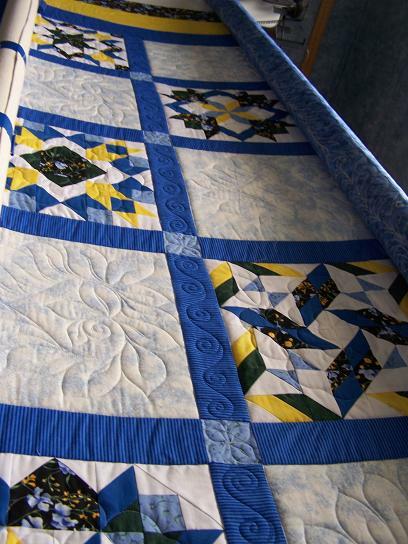 This piecer should teach a class on how to properly apply borders. She has it down perfectly, let me tell ya. NO extra fullness to work in…none, nada, zero, zip. Perfectly applied borders make the longarmer’s job soooooo much easier. Guess I better get back at it. Hope everyone is having a great Saturday!